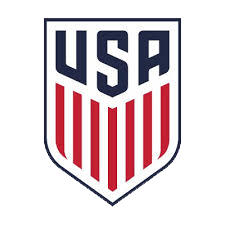 It was in the context of these findings that U.S. Soccer has developed its new Grassroots Coaching Education structure. More importantly it is incumbent upon LSA, all of our Clubs and the parents of our young players to understand that a results-oriented approach to the game is destructive to player development and contradicts coaching and player development philosophies around the world. The Initiative with the biggest impact on youth soccer across the country is the change in defining Age Groups from the school year (August 1-July 31) to the calendar year (January 1 - December 31). US soccer has also mandated that the following standards must be observed in all of our competitions. 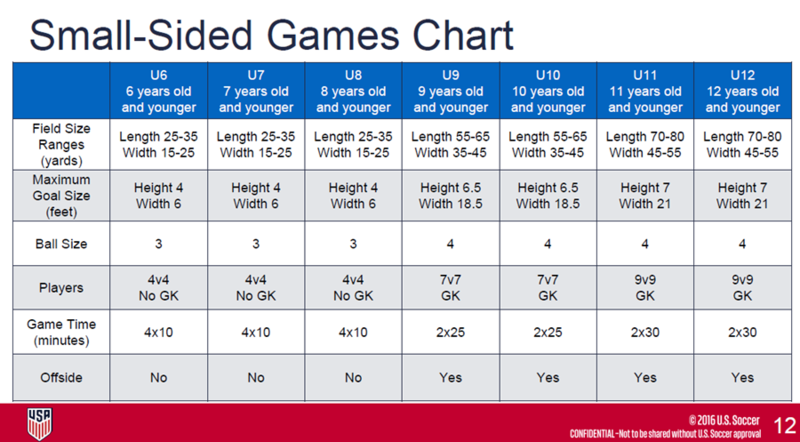 The Player Development Initiatives establish not only the following small-sided game criteria, but also establishes mandated ranges for the size of both fields and goals in each age group. 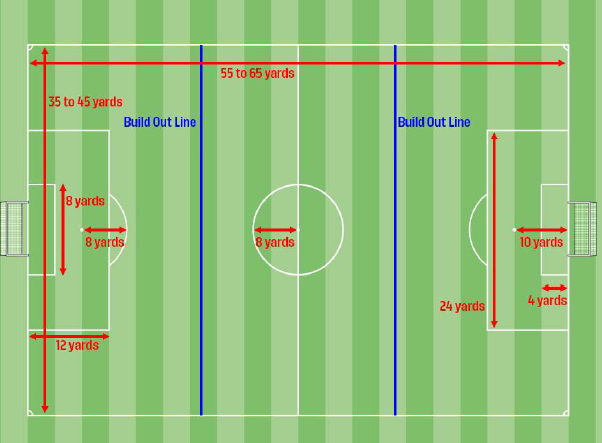 In the 7 v. 7 format, there shall be a "Built Out Line" drawn on the field (see field diagram below). When the Goalkeeper gets possession of the ball, the opposing team must retreat behind the "Build Out Line". The Goalkeeper can roll, throw or pass the ball out with his or her feet. Punting and drop-kicking the ball shall not be permitted. After the ball is in play, the opposing team can once again cross the "Build Out Line". The "Built Out Line" will promote playing the ball out of the back in a less pressured setting and will encourage maintaining possession of the ball.